– Can’t sleep on a cold night? A cozy hot water bottle will work its magic. 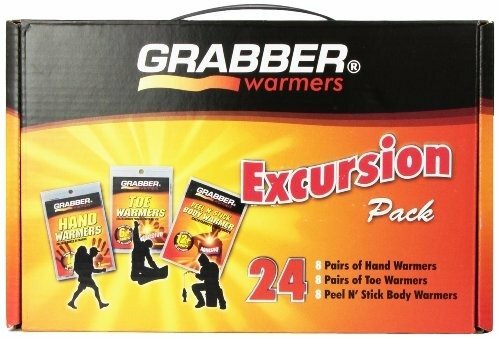 – Cold Feet? 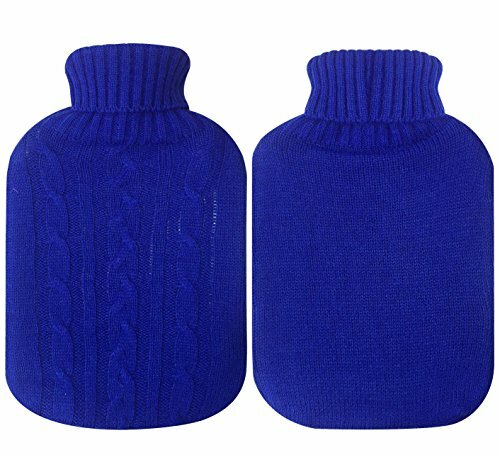 Hot water bottles keep your feet warm and comfortable. – Hot water bottles soothe and calm children. – Hot water bottle can be used alone as a remedy for aches, pains and sports injuries. 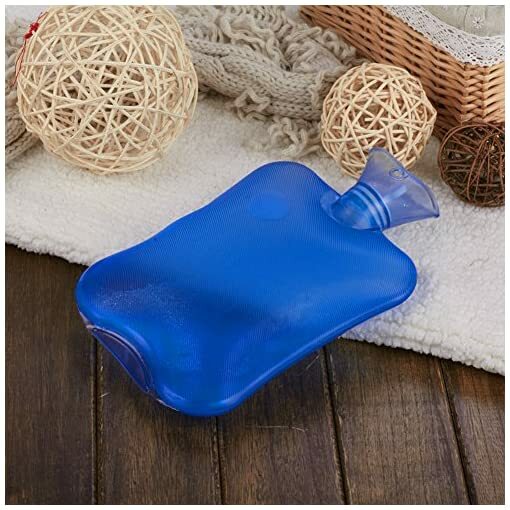 – A hot water bottle is a time-honored method of treating sore muscles, stress or cramps, arthritis, aches and pains, stiff necks, lower back pain, menstrual cramps and other common aches and stresses of everyday living. 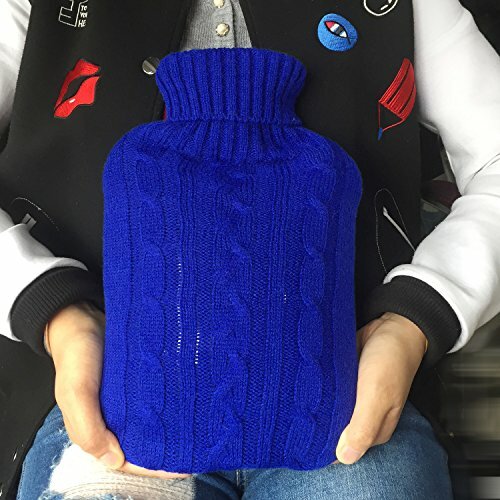 – Hot water bottles are easy to travel with, especially on a long flight or bus ride. 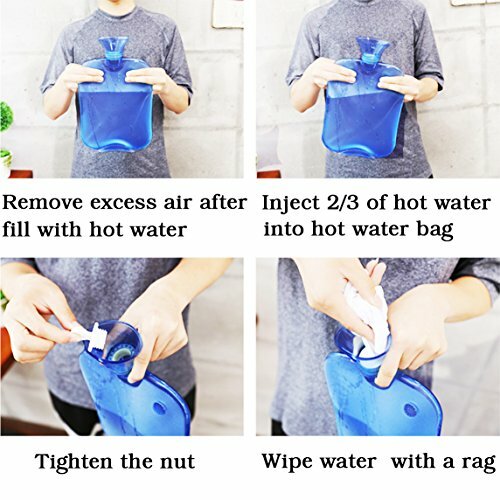 – This hot water bottle holds the heat longer than traditional rubber bottles. – Comes with an elegant knitted water bottle cover to prevent the hot rubber from being in direct contact with your skin to cause burns, plus it has a more classy and personalized look. – As with the knit cover, you may not feel very hot. If you like hot feel, please remove the cover to get more heat. 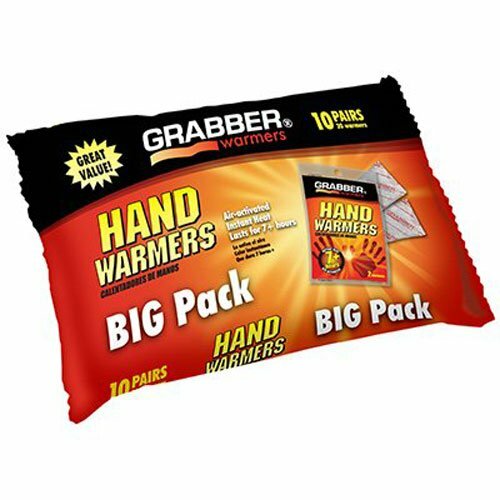 – Also works as an ice pack. – Not suitable for children under the age of 36 months. – Bottles should be replaced after two years of use. – Do not heat in a microwave oven. 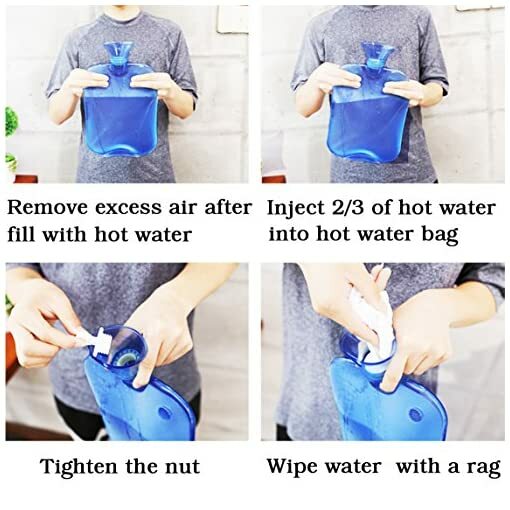 – Hot water bottle can cause burns avoid prolonged direct contact to skin. 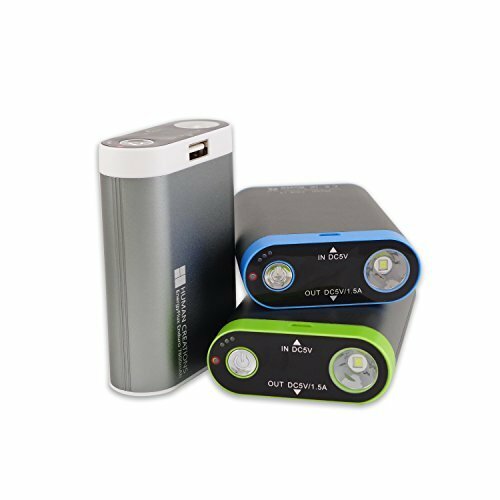 We promise to offer good quality products to make you satisfied. We make every effort to provide quality services. Please contact our customer service if there’s any question. Not satisfied? Please don’t worry, return of goods is 100% guaranteed. 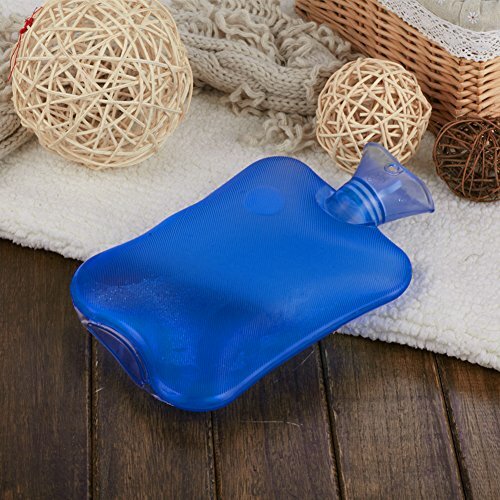 MULTI FUNCTIONAL HOT WATER BOTTLE- Thermoplastic material that is odorless and recyclable. 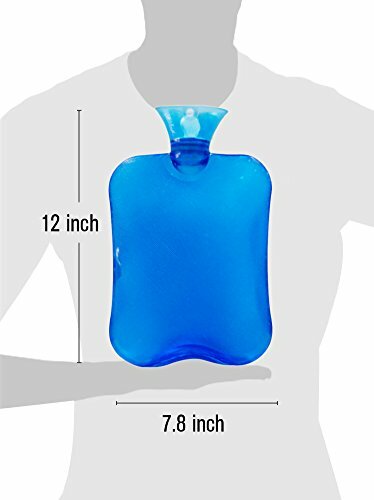 Advanced thermoplastic holds heat longer than traditional rubber bottles, also works as an ice pack, or cold water bottle. EASY TO USE- Wide mouth is easy to fill and the anti spurt lip prevent water spitting back out like those old rubber ones. Fill only to two-thirds capacity maximum. It’s transparent. No more guesswork about how much hot water is inside. BEST ASSISTANT- The classic design of this classic home remedy. Treating sore muscles, stress or cramps, arthritis, aches and pains, stiff necks, lower back pain, menstrual cramps and other common aches and and can also double up as a cold compress for kids with fever or to reduce swelling for minor injuries. CARE INSTRUCTION- Grid texture makes skin contact safer and more comfortable. 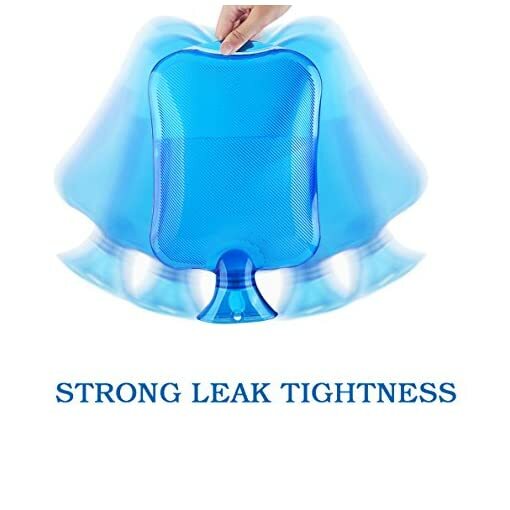 Comes with an elegant knitted water bottle cover to prevent the hot rubber from being in direct contact with your skin to cause burns, plus it has a more classy and personalized look. The bottles should be replaced after two years of use. And check stopper for wear and tear damage at regular intervals. 100% SATISFACTION GUARANTEE- Lifetime warranty for any issues! 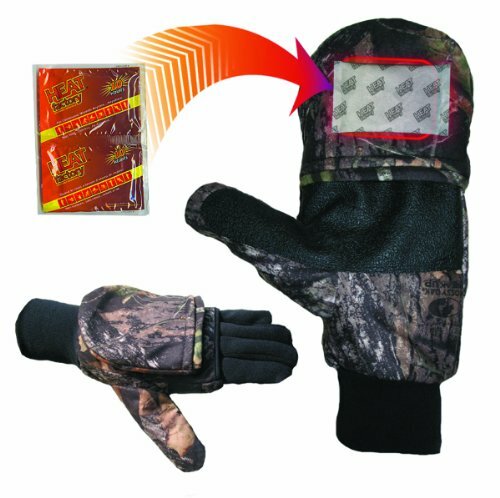 Enjoy the comfort and extra warmth with this risk free purchase. Love it or get 100% money back guarantee. Order yours today!